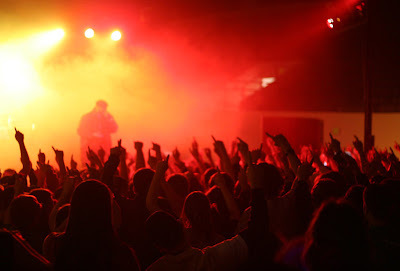 Last night I went with Sergio and Wes to see Common Market and Blackalicious at the University of Puget Sound. The concert was early. We were out by 10:30 p.m.
Ra Scion dropped Sergio's name in a song. Sergio took some great photos. UPS students bump and grind. Wes still knows a lot of people at that school. UPS is sporting some fine looking women right now. Wes and I agreed that he should have traveled for a couple years before attending college. The timing would have been better.